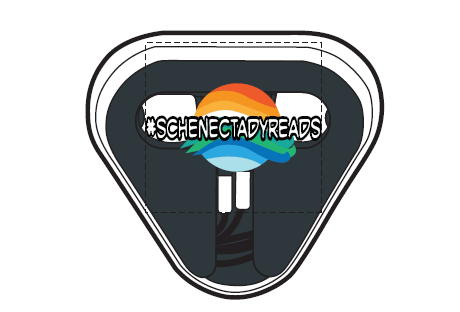 A strong partnership between the Schenectady City School District Libraries, Schenectady County Public Library, and other community organizations such as Boys Day Out. Enjoy music, with DJ Ketchup emceeing, activities, bus safety and an opportunity to tour the Fab Lab. Hourly transportation is available. Pick up and drop off will be at Mont Pleasant Middle School, Yates Elementary School and Paige Elementary School. Check out the Fab Lab and experience hands-on activities. Local barbers and stylists will be on hand to offer free edge-ups and vouchers for salon services before the start of the school year. Enjoy face painting, henna tattoos and balloon art with book-inspired designs. Local authors, including John Gray and SCSD teacher John Sardos, will be on hand to talk to kids about becoming an author. Kids can make "kindness rocks" with CREATE studios. A school bus will be on site for kids to practice bus safety. Performances, including SCSD's own Josh Casano, the SHS Varsity Cheerleading Squad, African Drumming, the SHS JROTC, and "Spoken Word" by students and alumni, will take place in the Music Haven. Make sure to check out the reading activities for a chance to earn some swag! Did you make something awesome? Submit entries here.